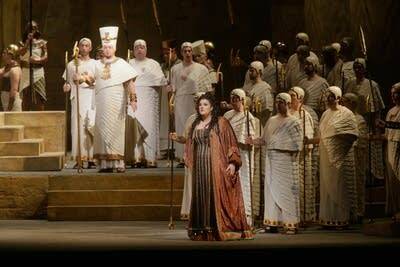 Even though Aida has moved to second place of late, it still remains a favorite in every way. Audiences revel in the spectacle of its ancient Egyptian setting, and the cognoscenti appreciate its musical craftsmanship. It's also the best-known example of "grand opera" — a phrase that here is not just a nice compliment, but the name of a specific type of opera cultivated in the 19th century. Grand opera presented a tragic story, usually set in a distant epoch, often with a colorful historic background, even if the main drama was fictional. There were also plenty of eye-popping stage goings-on — dances, processions, great choral scenes, and plenty of non-singing supernumeraries to make the impact even bigger. If animals could be included — why not? As the titles of some of the most popular examples of the day suggest — Les Huguenots, L'Africaine, La Juive — the genre has its home turf in France. But its influence spread all over the operatic world. 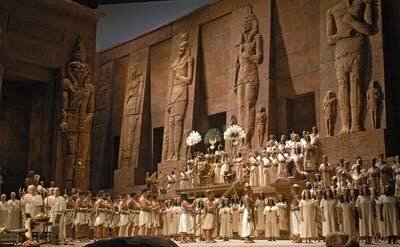 When Verdi received a commission to write an opera for Egypt in 1869, it was a natural form for him to choose. For all its spectacle, Aida has an intimate story at its core. At the center of the plot — though not the main character — is the princess of Egypt. We're given to understand that she's attractive, charming, confident and powerful. She's fallen in love with a young captain of the guards and though not a true villainess, she's willing to use all her advantages, even deceit, to win him. He, however, loves another woman: Aida, the slave girl. He doesn't have the worldly cunning to compete with the princess on her own terms. He's a brave soldier, and his heart is in the right place — but will that be enough? 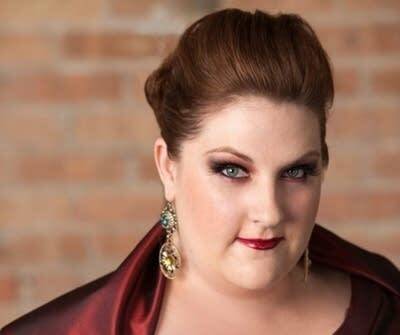 Out of this triangle, Verdi and his librettists mine rich veins of conflict, generated by love, divided loyalties, and especially, jealousy — one of the big Verdian emotions. Such is the human story that propels the drama of Aida. 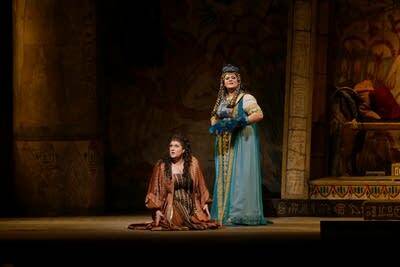 But Aida wouldn't be Aida without its splashy theatrical moments. Here's a YouTube clip of one of them, complete with dancers, singers, and non-singing performers, both two-footed and four-footed. Cue the horses!